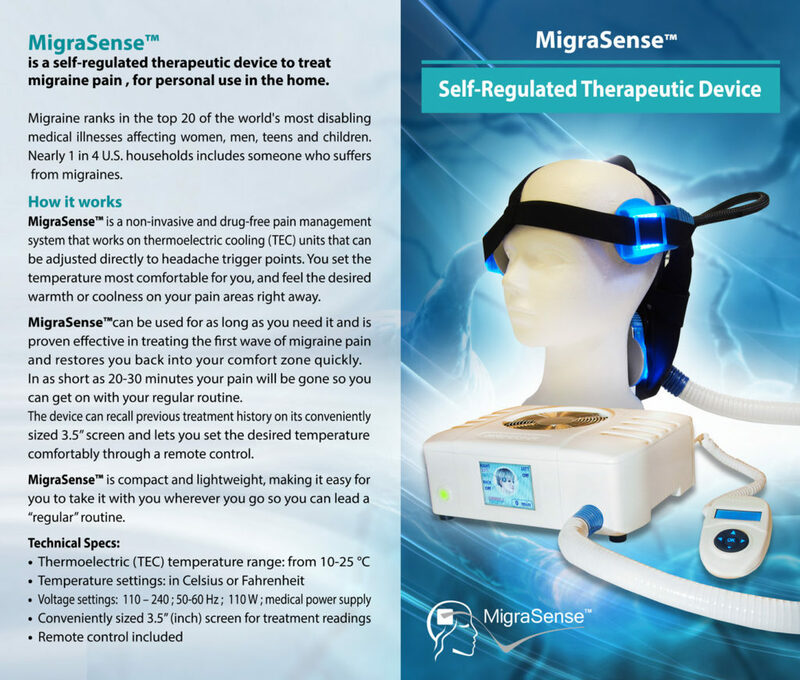 Home device for treating people who suffer from migraines. The device works by electronically cooling specific headache trigger points, where the patient can control the temperature of each cooling unit separately. Client: M.D. Medical Clinic ltd.